Mike says: It all started when I shared a link to the KOTESOL RPSIG August 22nd Day of Reflection on a social network that allows more than 140 characters. 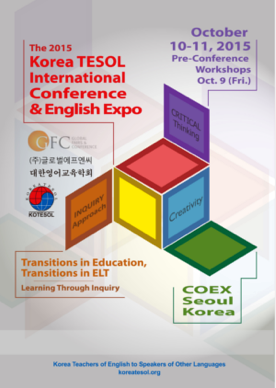 My friend and fellow ELT professional commented Steve King on the logo for the 2015 KOTESOL International Conference (which can be seen below) shared along with the link, remarking, “Man that diagram… I’ve seen a dozen like it, a thousand. What is it with ELT conferences and wacky geometrical diagram concept logos?” He then went on to share some other images from various ELT conferences and I suggested a collection of these would be an interesting blog post. To my delight he graciously accepted the offer and wrote the entertaining piece that follows. Please feel free to share your thoughts or other memorable images in the comments. I will turn it over to Steve. I’ve been working in ELT for quite some time, as a teacher, teacher trainer, and in publishing both as a researcher and as a business representative. That means I’ve been to quite a few conferences. TEFL this, TESOL that. Association of this or that. Here and there. And it’s alright. I get to travel to a bunch of places, meet new people, meet up with old friends and colleagues, see some interesting talks, and have some meaningful interaction with people connected to a given project I might be working on. I quite like conferences. I’ve been to some tiny ones, such as Panama TESOL in 2013, which must have had all of 70 people, and to some huge ones such as the big TESOL International Events in Toronto, Dallas, and Philadelphia. There’s one thing though that amuses, bewilders and bothers me. I’ve started even to look forward to seeing what spurious nonsense they’re going to come up with next. The next meaningless banality to wrap around what is plainly no more than a gathering of people who happen to work in the same industry. I’m talking of course about the logo. You’ll find these on the conference program, on the lanyard you wear around your neck, on a banner above the stage in the plenary room, on posters throughout the conference site. On its website, its social media presence, on its call for proposals and on its conference proceedings book. The graphic: You might have a silhouette of the host city’s skyline at best, or, at worst, some contorted geometrical ‘concept’ design that’s somehow supposed to make you think, nay, to reflect on why we’re all here, in this city for the weekend. You get some amusingly trippy colors on these at times too. Bold reds. Pinks. Greens. YELLOW! The slogan: These buzzword heavy word salads are rinsed, re-used, and repeated ad nauseum. The same freaking words over and over again. Community. Identity. Empowerment. Innovation. Challenges. Solutions. Transforming. I think maybe that there is an Online Conference Theme Buzzword Generator out there somewhere that organizers have been using. Or I would believe that, only there’s the fact that these words have been used continuously since before the internet was invented. They’re not all bad. Researching this piece after a brief conversation with Mike Griffin, I actually found some I like. So let’s delve in. Here’s The Good, the Bad and the Downright Ugly of ELT Conference Logos. Now this is actually excellent. Right as it says there on the tin. You have a conference theme that actually connects somehow to the host city in a positive way, and a nice graphic of some people, well, they’re just walking to a conference. In order to, I presume, do something or talk about something positive and excellent about their work. Well done, Philly. Well done. Cambodia TESOL 2014 I like this a lot. It doesn’t try and be anything other than what it is. Which is a conference about English Language Teaching. In Cambodia. Thanks, Cambodia. Others, take note. Now I went to this conference and I quite enjoyed it. But I can’t put my hand on my heart and say it had an effect whatsoever on my ‘identity’ or especially motivated me. I mean, presumably most people who were there kind of like their jobs and don’t need to schlep it all the way to Kitakyushu to feel motivated. I guess it kind of helped with community in that I bonded with a bunch of people over six pints of Guinness in an Irish bar on the conference Saturday, but really. Come on. Man, it’s all in there on this one. Wacky geometrical logo: Check. Colors straight from a child’s candy stash: Check. Disconnected, disjointed sloganeering veering off in all sorts of actual and conceptual directions: Check. Confused and somewhat dazed look on my face as I try and figure all that out: Check. TESOL 2015, Toronto OK. So what do we have here…. “Crossing borders”, huh? So…. Where are we going with this? Some place off to the right on a blue arrow that looks a bit like a Picasso Dolphin? ….so what next. “Building Bridges”. Let’s see, back across the border on the purple arrow thingy and sort of point back at the “Crossing Borders” thing? Why? This would be really confusing, but thank God you have those green and pink square joblets in the background to help you make some sense out of it. Oh boy. Where do I start with this one? It certainly raises something within me, but I can tell you for free it’s not ‘happiness’. It’s somewhere between ‘bewilderment’, and ‘outright confusion’ as to what possible narrative could come from this to lead to any semblance of tangible clarity around what this weekend was all about? This is straight from the happy-clappy-for-the-sake-of-it farm, isn’t it? Please folks, can someone who went to this tell me what exactly was going on here? Or are the attendees of this 2013 junket still trying to find their way home from Budapest? Is there something in the water in Japan? Yet again you have the assorted fruit flavors running all around your eyes, and this time they have a JIGSAW! Yeah! A freaking jigsaw people. But no buzzwords this time. Maybe they just kind of gave up. Interesting observations. Now correct me if I’m wrong, but didn’t KoTESOL run a competition for this year’s poster asking members to come up with the design. I wonder whether this was a member-submitted design or not. Either way, I agree that the weird geometric design seemed a little weird when I first saw it–it doesn’t even look quite right. they did. None of the proposals met the expectations, which included addressing the theme, print-quality production, etc. A Professional did this, as is the case at most conferences. See my reply below for more on imagery. But what of the #KELTchat logo? The KELTchat logo was designed by a professional that @josetteLB paid something like 20 dollars after a few trials and rounds of feedback, as far as I know and recall. The famous meatpie logo (https://www.facebook.com/photo.php?fbid=10152112736615375&set=oa.471654332866725&type=1&theater) was designed in much the same way (but might was cheaper). I think it is interesting that you mentioned the KELTchat logo which I happen to love. It cost just 20 bucks and is excellent (again IMO). I value that Mike opens his platform to contributions from others, both in posts (less common) and responses (more common, not common enough). Graphics are H-A-R-D. they should be based in some part on the theme (more to follow). They should capture imagination, inform (picture worth thousand words, yadayadayada), be clear and uncluttered… Big corporations spend millions and still don’t get it right. Let’s be kind on the volunteer-based nonprofits. Two things to consider here as I, a sometimes conference organizer, defend the flag (I mean, the themes). but such popularity probably means there is a deeper meaning that more than a few think is important. I often say that ELT is a field where they teach vocabulary but can’t agree on professional terminology. (ponder that) And too often, ELTers try to load their own social consciousness as ELT “oughta-dos,” which is utter tripe. Still, some terms ARE meaningful. 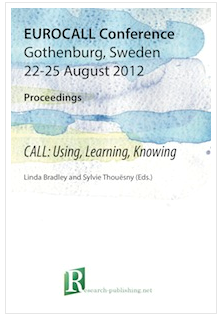 — KOTESOL 2015 “Learning through Inquiry” (the subtitle) is in fact the main focus of the conference, hopefully. 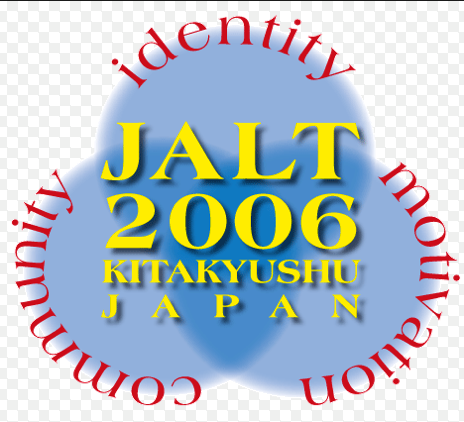 Unfortunately, in the past 20 years, only one KOTESOL International Conference has managed to avoid the prototypical Colonated conference theme. “ABC to EFG : XYZ.” Only KOTESOL 2008 — Responding to a Changing World — avoided the colon, but I doubt our author appreciates it any the more. sometimes more, sometimes less. They often guide (at least partially) selection of some major speakers, and help shape (at least partially) what many major speakers talk about. They have far less impact on the concurrent sessions, even when “addressing the theme” is part of the proposal evaluation process. Look, not everyone wants all their conference sessions to be about the theme. But some presenters do make conference selections, and not a few attendees traveling outside the hometown, make choices, based on the theme and probably major focus of a conference. Funny thing (well to me anyway) is that as I was writing the short intro part I almost included something like “please don’t use the word volunteer” in any comments. Why? Because I thought it would be an easy way to explain away choices and logos and such. I see where you are coming from but I also wonder if that idea makes it too easy to pawn off not very professional things at times. Anyway, thanks again for the comments! yeah, the whole concept of “volunteer” can be an excuse for nonprofessionalism. AGREED! But my argument about ugly logos from megacorps spending millions on identity make-overs still stands. In the end, most folks don’t care anyways??? This was an amusing article! It made me laugh outloud! I know the topic can be taken more seriously, and appreciate the points made in comments above. But I just wanted to say thanks for making me smile! Nice post, Michael! I think you’ve successfully proven that when it comes to conference logos, simple really is the best! Hahaha. Good call. Sometimes it’s hard to believe associations can possibly think they’re good. Websites are even worse. So much of our profession represents us like we’re a backyard business designed by elementary school students. No, that’s not fair…. middle school students. I appreciate your fairness on this, Tyson. Thanks all, for the comments, especially Robert’s. This is, of course, little more than a lighthearted look at something that mildly amuses me. I understand and appreciate all the hard work that goes into organizing conferences. Very funny. 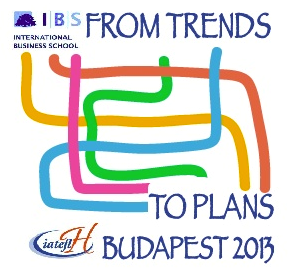 The CAMTESOL was definitely my favourite but I kind of also dug the weird Budapest squiggles. I presented at a TESOL Arabia conference one year when the theme was ‘From KG to College to Career’ – I took it to mean that they were happy with any presentation as long as it wasn’t about teaching very young learners or English for senior citizens. Discriminatory I say! I would have assumed Kevin Garnett was involved somehow in the KG theme. ANYTTTHING IS POSSSISIBLE ! Oh and thanks for the comments and the perceived freedom to leave insane responses to your reasonable comments. Themes. I hate the damn themes. Once working on a conference we had a short list of about a dozen themes. Nobody had Googled them, and it turned out every one of the buzzword-laden bunch had been used in the past year. I really wish we could just get rid of the themes completely. But, I will likely be complicit in at least one or two more very soon. It used to be semi-reasonable until people started playing with it too much. You can add more phrases to the pool if you like. That Narratives logo. Textbook. I knew it was going to be on there. Just pleased to see that none of the logos that I’ve helped gestate made the list. Ok, so I guess it is time to own up…. 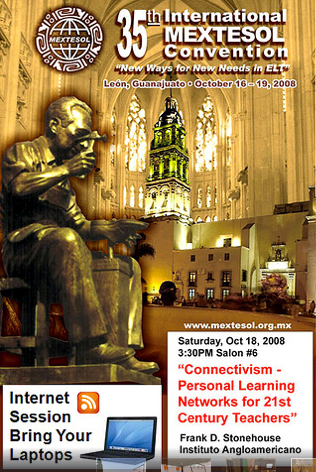 I was the one who came up with the original design for the 2015 KOTESOL international conference. I say “original design” since it was a rough “sketch” on a Powerpoint slide, if I recall. I was somewhat surprised when it started popping up about the place and eventually became the poster (and I guess the program cover?). Without disavowing all responsibility, it has changed considerably from the original concept which was absent the “candy colours” (more of a pastels man myself) and wasn’t amidst a field of text and sloganeering. My personal beef is the gradient background, nothing wrong with a stark white if you ask me. Rob brings up the point of volunteers and time and such, but this was definitely a 10 minute thing theown together, I never expected it to go this far! 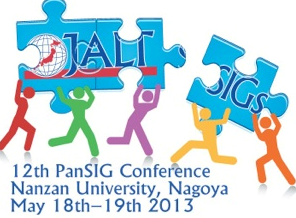 Personally the JALT PanSIG one is the best. Has the makings of a great t-shirt, hell maybe even a tattoo! But no buzzwords this time. Maybe they just kind of gave up. man… wow 🙂 How did I miss that. That is the best (i.e. worst) conference slogan like, EVER.